Head over and check out the full blog post on sending extra signup data using the BaaS cloud components. I am trying to put, and get files on Parse (eg. avatars files), do you have some example? Just as a quick idea you can Base64 encode the file into a string and store that. 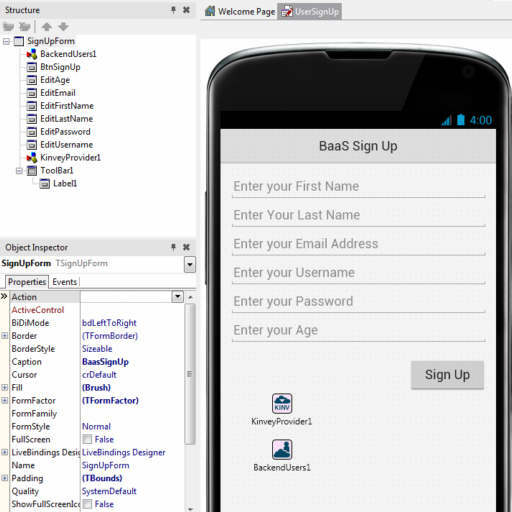 Are there any examples of doing mobile sign up & login without using baas? Maybe with datasnap? Use the TRESTClient to do this. I use PHP and MySQL on the server side.